Cats are known for two things: their chill and unpredictable demeanor, and their obsession for grooming. If you’re a cat owner, you probably see first-hand how much time they spend cleaning themselves – by licking! After all, adult cats spend about 50 percent of their waking hours in grooming their own furry bodies. Yes, cats are neat freaks! But as much as it seems like that cats got it all figured out, they still need a little help from their human friends. How, you might ask? Let’s discuss why grooming your cat is important and the tools you need to get started. When to Start Grooming Your Cats? Cats love grooming. The only thing is, they hate it when somebody else does it for them! If you started to groom them since they were kittens, then you’re probably doing fine. But for older cats, it’s a different story. When you start grooming your cat, it goes without saying that you don’t just grab them and start brushing or trimming away, especially on their first time. The experience can be hostile that may leave you with “battle” scars from the struggle. Start slow and get them accustomed to the process by choosing the best time when to do it. For their first grooming routine, a short session of at least 5 – 10 minutes should be enough to give them a positive and pleasant experience. Also, it is best to do it when they’re most relaxed; maybe after exercising or eating. That way, they won’t either run away or pull out their retractable claws like Wolverine whenever you pick up the brush or nail clippers. Now that we got your cats comfy and adjusted, let’s get to the tools you need to begin the process of grooming. Before anything else, it is vital that you buy products that are of high-quality and made out of durable and safe materials to ensure that you invest your money well. When you think about grooming, brushing is probably the first thing that comes to your mind. It is the fundamental aspect of grooming pets. For cats, brushing keeps their hair looking good, neat, and clean. Brushing also gives you the chance to inspect their bodies for injuries and keep them from forming hairballs. It is also a great way to bond with your cats since you get to form a connection with them that you probably never had. You can start by slowly massaging them from the neck down to the tail and then follow it up with gentle strokes of brushing. Generally, you should brush your cats at least once or three times a week. In choosing the right brush, you should get the most comfortable according to your cat’s coat length. For long-haired cats, it is recommended that you get a brush with long plastic bristles and beaded tips. For short-haired cats, you should get the same quality of brush but with shorter bristles. Among the brushes and combs that you need are the slicker brush, flea comb, de-shedding tools, mat splitter, and a rubber grooming gloves to get a more “hands-on” with your feline friends’ fur. Be sure to check them out on your next pet supply shopping! Tooth brushing can sometimes be an overlooked grooming routine for cats. As shallow as it may seem, brushing your cat’s teeth is crucial when it comes to its overall health. Just like humans, your cat’s teeth accumulate plaque that can turn into tartar if not taken care of. Your cat’s breath isn’t always going to smell like a bouquet of gardenias. However, if the smell is other than the slightly fishy odor, it’s probably suffering from dental problems. You shouldn’t ignore this symptom especially if you haven’t gone to the vet to check the condition of its teeth. To start the tooth brushing routine, you should begin by conditioning your cat with the idea of touching its mouths. Try to include it with your training regimen and give it treats as rewards whenever you go through the process. If you have a kitten, it’s better to start with a rubber finger brush (rather than using your bare fingers), to get into its teeth and remove the plaque buildups. For adult cats, the best cat toothbrush you need should have a bent handle for easier grip, a three-sided superfine bristle to get into and in between their teeth or the split design to have a 2-in-1 toothbrush that can be suitable to any tooth surface. Your cat’s claws are an integral part of their cat-being. Cats are digitigrade walkers: meaning they walk on tiptoes and not on their heels and the balls of their feet. Their claws, therefore, are there to support their weight whenever they’re walking or jumping, or even just standing around. With that in mind, you should never entertain the idea of declawing your cat. Your cat’s claws can be annoying and destructive – even painful at times. However, instead of thinking about declawing, you should consider clipping or trimming its claws instead. Clipping shouldn’t be stressful for both you and your cat. Start by holding its toes. Then, apply slight pressure to unsheathe its claws. While doing this, give your cat treats to make it think of it as a rewarding experience. It is vital to start slow and surely and not just go all out. For the length at where you need to clip, it is recommended to consult with your vet to understand the best way on how to cut your cat’s claws. You can choose the right clippers at your nearest pet stores. They’re the ones that look like scissors or pliers, where the clippers are shaped to insert the claws of your cats. As an alternative, you can use your nail clippers. Just make sure it’s clean and sharp to keep the process painless and smooth. One way cats do to clean themselves is by licking their own fur. However, cat licking isn’t always about grooming. They use their tongues to scrape off dirt and comb their hair; and at the same time, licking their kittens and humans to show comfort and affection as well. Your pet needs to be conditioned with the cat grooming tools and routines above before we can proceed with bathing. The first time isn’t always going to go smoothly, that’s why it is best that its claws are clipped and its fur brushed before you splash it with water. In choosing the right shampoo, it is best you consult your vet to see if the formula and ingredients are right for your cat. We already know that coat types vary for every cat breed so you should consider that in buying shampoos as well. Never use human shampoo as it can cause dryness and irritation on cats’ skin. The same goes with using dog shampoos as well because it contains ingredients only suitable for dogs. Lastly, do not forget to use blow dryers after each bath. Cats are meticulous creatures when it comes to grooming. However, they can’t reach everything! That’s why they need their humans to help fix things for them. After brushing and clipping, that’s where pet wipes come in. Pet wipes are ideal as you can use it to get in and between the toes, ears, their face, and their bottoms. Pet wipes are a lifesaver when it comes to grooming your cats. They may not replace bathing entirely, but they can be a great alternative as they wash away the dirt from their fur, while making it cleaner and elegant-looking after a routine of brushing. Choose the pet wipes that are hypoallergenic. Make sure to check that the wipes you are buying don’t contain any harmful ingredients such as parabens and chlorine. Why is Cat Grooming Important? 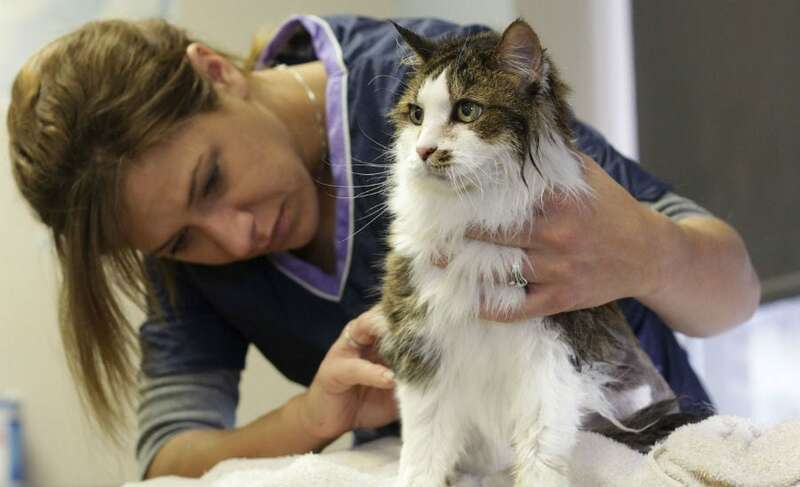 You already know where hairballs come from, but do you know how harmful it can be? Your cat’s tongue is built with tiny serrations that act as a natural comb to clean and even out their furs. These serrations also catch loose hair that they end up swallowing causing a hairball to form. Not only that brushing can help you prevent this problem from happening but also saves your feline friend some trouble in keeping its beloved fur clean and tidy. Every routine should be started carefully and with caution. 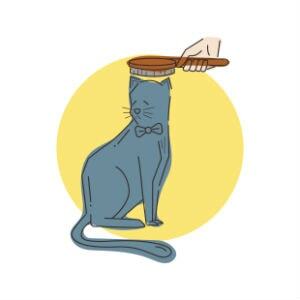 Every cat grooming routine should be done on different occasions and not all at the same time. Start slowly, keep it comfortable, and then gradually increase the time and frequency of each grooming routine. While cats surely are supple, factors such as health, weight, and age may pose a challenge for them when it comes to grooming. That’s why you’re there – their responsible, loving human to help them stay clean, healthy, and classy!